Oh look, Amber made another Summer Picnic Salad. Cook pasta as directed; rinse in cold water, drain, and cool. 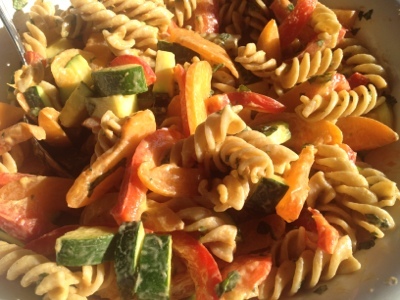 Combine pasta, apricots, zucchini, red bell pepper, and basil. Toss with dressing.